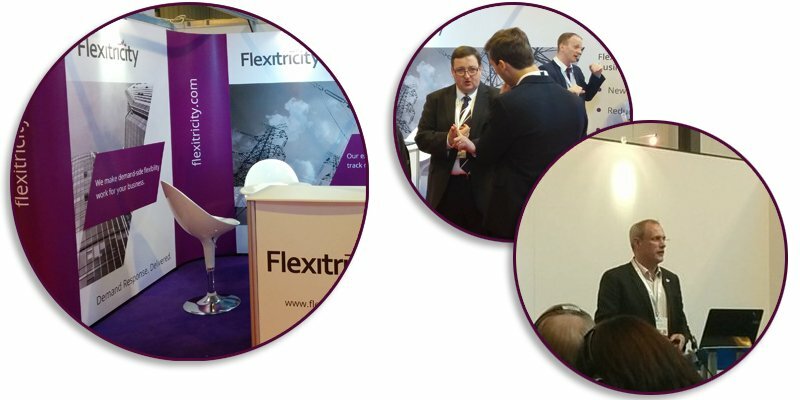 Flexitricity will be exhibiting at two events in the first half of 2017. We'll be at Data Centre World in London at the ExCeL on the 15th - 16th March 2017, followed by edie LIVE in Birmingham at the NEC on the 23 - 24th May 2017. On Day 1 Dr Alastair Martin will be delivering a live talk at 11.15 in the Energy Efficiency and Cost Management Theatre. The session will explore our changing electricity system and what this means for Data Centres, focusing on the growing opportunities to earn revenue and reduce costs through flexible energy use. On day 2 at edie LIVE Flexitricity, National Grid and Marks & Spencer will deliver a demand response seminar where we assess the opportunities for different businesses, overcome the challenges and offer guidance on how you can start to make energy pay. The session will be chaired by Flexitricity's Founder and Chief Strategy Officer Dr Alastair Martin. Paul Lowbridge, Power Responsive Manager, National Grid will kick-off the session with a look at the barriers and opportunities in flexible energy. Marks and Spencer's Maria Spyrou, Energy Efficiency Programme Manager will then talk through Marks and Spencer's demand response project, focusing on the lessons learned and opportunities. Dr Alastair Martin will then take the audience through an in-depth look at Flexitricity's approach to Demand Response. The session will take place within the Onsite Generation Theatre at edie LIVE.